Yorkshire Day – where to go? Alison had a weekend planned with her girlie friends to our static in Sedbergh, so I was at a loose end. 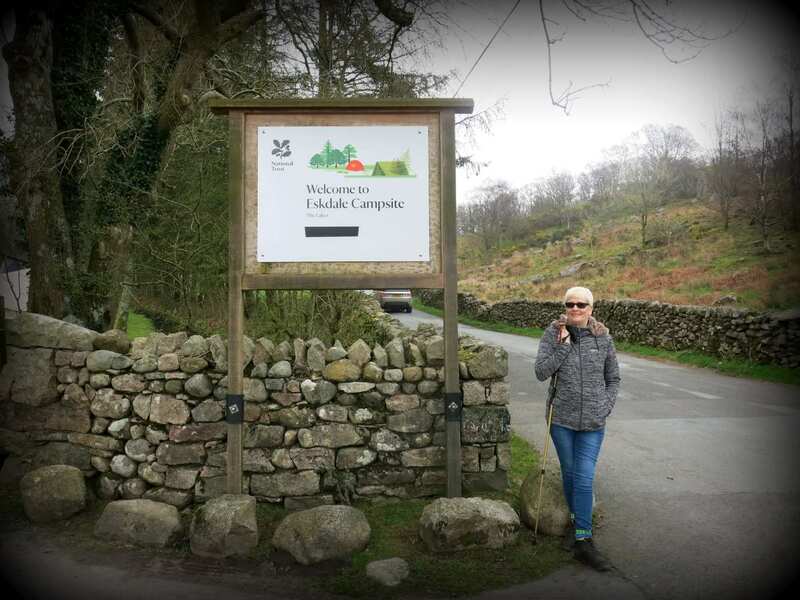 Jodie had mentioned that maybe we could take Aimee away to Bassenthwaite to see the ospreys but unfortunately we left it too late to book in to the closest campsite so that option was out. Friday 1st August was Yorkshire Day so a trip to God’s Own County seemed in order. 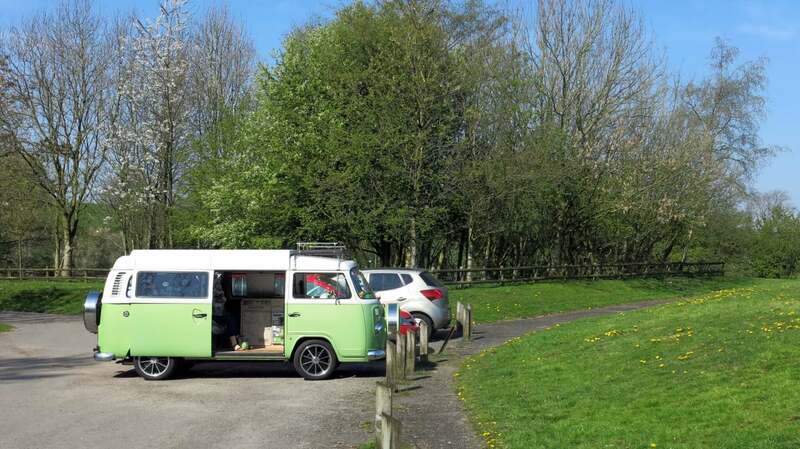 I found a site near Hebden Bridge and managed to book a space for Absinthe and also for Jodie and Simon’s huge 5m bell tent so the trip was on. What didn’t look good was the weather! The forecast wasn’t good – heavy rain and thunderstorms didn’t sound like camping weather and sure enough Friday started with rain at home although it wasn’t too heavy at that stage. I left home about 12.30 to drive the 45 minute trip to the site at Blackshaw Head, next to the New Delight Inn. Foolishly, I ignored the instructions from the website and used my satnav instead. Big mistake. The site manager had told me when I booked, that roadworks had closed the road from the Yorkshire end but that I’d be fine coming from Lancashire (Lancashire – a county that’s great to come from!). My satnav had other ideas and took me all the way to Hebden Bridge before I realised, so I had to turn round and drive back to Burnley and over the Long Causeway – this meant I didn’t arrive until 2.45 in a heavy rainstorm. I almost drove past the site – it was only seeing the pub that alerted me to its presence. I came through the pub car park to the site and was met by a tractor and trailer with two guys “re-surfacing” the parking area. I say “re-surfacing” but it looked that they were throwing down tarmac randomly. I struggled to get past them and got a grunt from one of them pointing me towards the hard standing for campervans and motor homes. As I went up the hill to turn the bend onto the right area, I lost traction on the front tyres and had to reverse back to get a run at it. Once I was on, I looked for someone to check where I was meant to be. I couldn’t find anyone but then a couple came from the direction of the pub and told me that there was a board showing allocated spots with our names on. They had a large motorhome which needed to be close to where I was parked. There wasn’t much room so I moved Absinthe to let them in. That left a space between us which had also been booked – we laughed that the chances of anyone getting anything large in there were pretty low – more on this later. I eventually found the site man, who I think was Scandinavian (or Dutch!) – I asked him where I could walk Boris and he pointed me across the road to a bridleway that went all the way down the valley to Hebden Bridge, a couple of miles away. Perfect! We walked past the Pennine Way signs, down the valley, until I spotted a tall chimney next to the stream, where I turned left along another path, passed some buildings and along the valley bottom. As I passed the chimney, I saw some artwork in the wood so went over for a look. A local school had made some installations on the theme of Peace and Conflict – very prescient as we remember the 100th anniversary of the start of the First World War. There was a vague path out of the art area, which I decided to follow back up the valley. I’d seen an old packhorse-type bridge from the high path earlier, so thought I’d be able to get to it this way. The path got harder and harder to follow and then started to climb upwards over gnarly wet roots. I thought to myself that it wouldn’t be a good idea to slip off the path at this point, when the inevitable happened. My walking sandals lost all grip and I fell into a bog! I had to climb over a wall (having first picked Boz up to get him over) to reach the proper path which provided a lovely walk all the way to the bridge. Once back at the van I realised that maybe these sandals aren’t the best in boggy conditions. After a drink and some food, I saw the temporary site manager with her dog on the site (she was looking after the site whilst her friend was on holiday) and discussed where Jodie was going to pitch their bell tent. In her words, her site plan had “gone to sh*t”, so I told her we’d have the secluded area behind the willow trees. It was perfect, apart from some dog mess close by. This seemed to be a problem on several areas of the site – there were quite a few dogs on site but I suspect they weren’t the culprits. The Scandinavian Dutchman I’d spoken to earlier had a free running border collie and I think his dog may be to blame. The site could do with a dog bin though, to encourage people to clear up after their pets. After Jodie and Simon had put their tent up, a large motor home arrived towing a trailer with a small car on it. 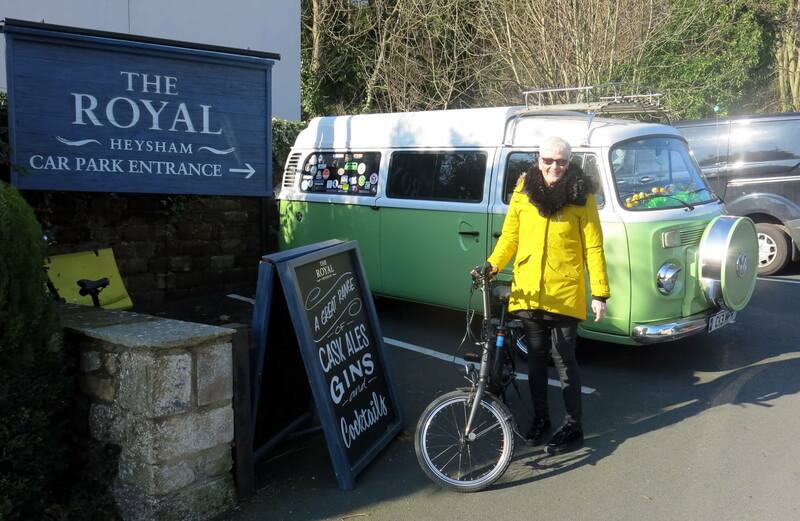 The family on board had travelled down from Sunderland and they were taking their Izetta to the show in Hebden Bridge. The journey along the lanes to the site had been bad enough for them but when they saw where they were supposed to be parked (in the space between Absinthe and the other motorhome) the chap wasn’t happy. He took his car off and we helped him move his trailer, which wasn’t easy as the jockey wheel just went straight through the surface that had been thrown down earlier. Then he had to attempt to get his motorhome onto the hard standing. Simon asked some people to move their cars, he moved his van and with quite a bit of manoeuvring he was in place. There was a great selection of real ales in the pub and the food, though basic, was fine. Strangely, they don’t do desserts which doesn’t bother me, but it’s s disappointment for those with a sweet tooth! The plan on Saturday morning was that I’d make bacon butties for us all, but the weather wasn’t great for cooking outside, so we decided to walk with the dogs into Hebden Bridge, get some breakfast and visit the Vintage Car Show. It was a great walk down the bridleway although it had started to rain by the time we got to town. We carried on to the Show and had a bacon buttie from one of the stands. There were some great cars on show, including a Nissan Figaro. Alison fancies one for her next car but we’d been concerned as to whether I’d fit in it! I went to talk to the owners and they very kindly let me have a sit behind the wheel. I squeezed in OK so looks like it could be a go-er. After the show, Jo and I walked into the town to try to find somewhere to get a coffee and some cake, whilst Simon took Aimee onto the playground. Just as we got into town, the heavens opened with a torrential downpour, so we had to shelter under a tree. Eventually, we all got together and went into the Shoulder of Mutton for a pint and to dry off. Boris doesn’t really like being wet but sharing a packet of Cheddars seemed to cheer him up. The rain stopped so we opted to walk back to the site. There’s a bus option available too, that stops right outside the pub, but three wet dogs don’t make for a pleasant journey in a confined space and anyway it’s a lovely walk back. Simon decided that he’d rather spend the night in his comfy bed than another in the tent, so he left about 4pm – leaving the rest of us to chill until it was food time again. I had a chat with my neighbours as they were cleaning their Izetta ahead of taking it to the show on Sunday. They very kindly let me have a sit/stand in it – they’ve got it for sale for £15k if anyone’s interested. 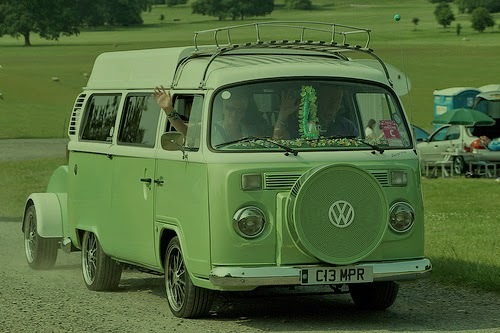 It wouldn’t be a camping trip without some other VWs on the site. It was back to the pub for food on Saturday night and more dominoes followed by hot chocolate at the van (with added whisky for the adults), before settling down for the night. Sunday morning was sunny, so we had bacon butties and a drink before Simon returned to take the tent down. My neighbour set off to Hebden Bridge in his little car – I hope he got up the hills OK. There was a bit more excitement before we left. A walker had parked his car in the pub car park but hadn’t put his handbrake on properly. A woman came running to the site asking for help, as it had rolled into the road and was blocking it. Between us, we managed to push it up the hill, back onto the car park, and put bricks under the wheels and bollards around it – he’ll have had a shock when he came back. So, all in all, a good weekend. I thought when I arrived that I was going to hate the site but it grew on me over the weekend. It’s in a great location, has a fantastic dog walk into Hebden Bridge and a pub next door. What more could we want? Well, a bit better organisation, a better car park and easier access but, hey, you can’t have it all. I’d also prefer a weekend when the site wasn’t full of young guys, who drink in the pub until 1.30am then shout and fall about the field for half an hour. That’s not the site’s fault and I guess we were just unlucky. I suspect we’ll be back.